What are High School Specials? 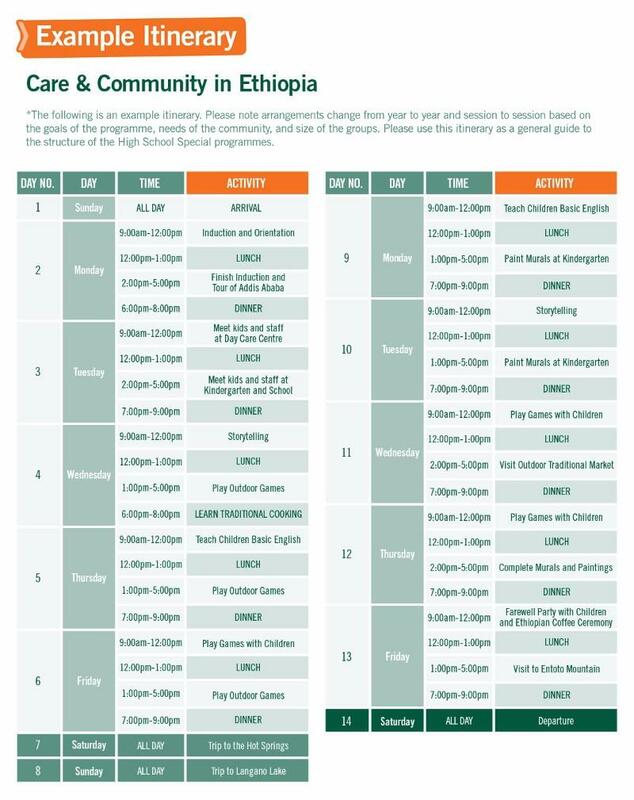 By volunteering on a Care & Community project in Ethiopia you will be offering the children the care and attention that they are so desperate for. 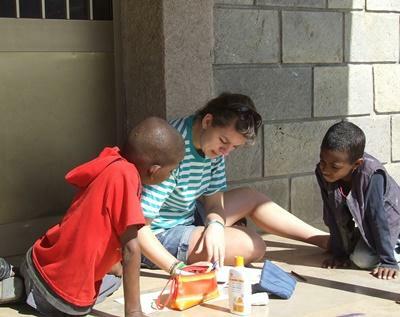 Volunteers are based in a care centre in the capital city of Addis Ababa. You will live either with a local host family or in guest rooms at the placement itself. Depending on your interests and skills, you will also have the opportunity to teach the children a wide variety of subjects. Your time will be split so that in addition to spending time with the children you will also be able to have a lasting impact on the centre itself, by helping with painting and renovation work. At the weekend you will get the chance to visit the countryside outside of Addis on a trip to Entoto Mountain or you could relax at some hot water springs. Every year, thousands of High School Special volunteers actively make a difference around the world. During their time abroad, they contribute towards achieving long-term goals and make a long-lasting positive impact on the communities where they work. If you want to know more about their achievements, read our 2018 High School Specials Impact Report.